A federal judge has ruled that Atascadero developer Kelly Gearhart’s bankruptcy was applied for fraudulently and as of October 7 his creditors may legally go after his future earnings, according to a November 8 court order. “They can sue him for a judgment, but they cannot go after properties or assets in his name because the bankruptcy trustees have the right to administer those assets and provide distributions to the unsecured creditors of the estate,” said trustee attorney Ken Gibson who noted it would probably take a year to liquidate the assets. Gearhart and his wife Tamara Lowe filed the bankruptcy petition in February 2009, claiming $6.5 million in estimated assets and $45.1 million in estimated debts. The couple was accused of helping to defraud investors of more than $100 million in an alleged Ponzi scheme. They moved to Wadsworth, Ohio, in 2009 following threats of physical violence by an angry investor. 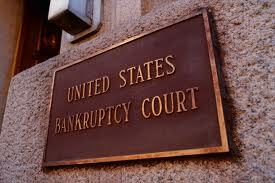 Gearhart filed the bankruptcy petition in the Northern District of Ohio U.S. Bankruptcy Court. In July, bankruptcy trustee Harold Corzin made a request for the dismissal of Gearhart’s bankruptcy protection because he had fraudulently transferred and concealed assets. Specifically, Gearhart and Lowe failed to mention ownership in numerous properties and businesses including the Atascadero Printery building, Atascadero All Night RV Park, Atascadero based Print and Copy Solutions and the Links golf course in Paso Robles. The couple disclosed 12 active bank accounts even though they had more than 50 different accounts when they filed bankruptcy, according to court records. The trustees also contend Gearhart and Lowe failed to properly report money made through the sale and transfer of vehicles. For example, investigators discovered that within 90 days of his bankruptcy filing, Gearhart transferred the title of a 1956 Chevrolet. The undisclosed recipient of the transfer sold the Chevrolet for $74,600, put $40,000 in a U2 LLC account and kept the remainder for himself. In addition, the couple has failed to account for approximately $5 million in personal property that was listed on previous financial statements or informed the court of $10,000 payment to the Planet Hollywood Casino. Even though the trustees believed that Lowe shared some culpability for the non-disclosure of assets, the trustees agreed to release her from future liability from creditors as part of the compromise. The trustees noted that the creditors did not have any substantial claims against Lowe. In an objection to the proposed compromise, Murray Powell, an investor in the alleged Ponzi scheme, said that Lowe should not be allowed bankruptcy protection because of her involvement in fraudulent business activities. For example, Powell noted how monies he invested for the construction of a project were transferred into the Gearhart and Lowe’s personal bank account. “Why release her to have an agreement with Gearhart when they had him dead to rights,’ Powell said. On October 25, Federal Judge Marilyn Shea-Stonum agreed with the trustees’ assertion that Gearhart was the more culpable party and approved the compromise. “The proposed compromise will not affect any potential criminal liability of the debtors…,” Shea-Stonum said in the order authorizing the compromise. Gearhart is also one of the subjects in a two-year racketeering, money laundering and wire fraud investigation by the FBI that includes Gearhart’s former business associate Jay Miller of Hurst Financial. Last year, the allegations were heard by an impaneled federal grand jury. The Fifth Amendment to the U.S. Constitution requires that charges for all capital and “infamous” crimes be brought by an indictment returned by a grand jury. Because of secrecy involving the grand jury, hidden assets discovered by the criminal investigators cannot be shared with the bankruptcy trustees until an indictment is made. Meanwhile, the two year time period for the discovery of assets to be included in the bankruptcy for distribution to creditors comes to a close in early 2011. Does anybody know what was happen to Rod jarmin, Linda Kennedy,Ty Christenson and any of the other players. Seems like nobody got into any trouble…except Guth and her son. It was in the paper months ago that the bankruptcy attorney Corzon has attached possible moneies associated with them and if and when the casino is build, they (creditors) would get the money then and with interest. there will NEVER be casino with the names Grigger Jones, Kelly Gearhart, Chris Molina or Dan Phillips HELLO? For those of you who miss their mugs, check out this story in a Tribune special. Pages 46-50. Back in the days when Kelly and Tamara were the King and Queen of Atascadero. Moral of the story ….Oh how the wicked do fall from grace. More like half the town and part of the county, this puked up fragment of society needs to have both hands and something else cut off, he has screwwed to many innocent victerms as has his dear co- conspiriting wife, this guy Gearhart got off easy because of paying off people in high places with investors monies, ” 1.5 million to Kevin McCarthey”, will Kev, own up and give the tainted monies back, hell no he woun’t he is part of the problem not the solution. Tamara should not be cut loose, she is in this as deep as Melanie Snyder and Courtney Brard, just because they are wemon they get a pass, what is the F.B.I. doing perhaps waiting to find the pot of gold at the end of the rainbow, one thing is for sure after seizing $200,000 from Miller’s estate they have to charge him with some thing or give back they money, an when was the last time the F.B.I. gave back a refund, they are and will be toast all of them. Yes, I agree with you Willie, “they will all be toast”. If the FBI knows about other assets and they only have until early 2011 to indite him before that added information will be lost to the creditors, then I trust that the FBI will see to it that this doesn’t happen. Just think how they will look if they were to allow that information to remain concealed beyond the deadline. They have done lots of interviews and plenty of follow up over the last 2 years. It won’t be much longer now and I think we (some of us) will be surprised at who some of the targets are. oh Grigger, such a great guy! you know he helps all of us when we are down. What a FAKE AH. he is . He is more than likely guilty of all he is being investigated for. Thief! Keep up that tenacity Nancy, you’re almost home. I can’t wait for the FBI to put him on the bus and maybe Colleen too, if she covered for him.